LUXE, a new star amongst cinema auditoriums has arrived! 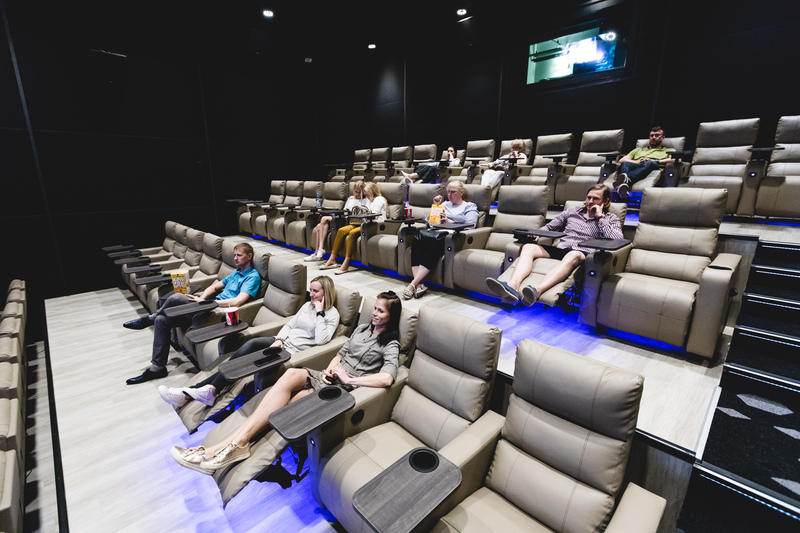 The first LUXE concept cinema auditorium in the Baltic States is now open in Coca-Cola Plaza cinema. LUXE cinema auditoriums are a trademark Odeon Group, the owner of Forum Cinemas, and they offer extra convenience with especially high-quality sound and images. The entire auditorium is also equipped with extremely comfortable recliner seats to make any cinema visit extra special. 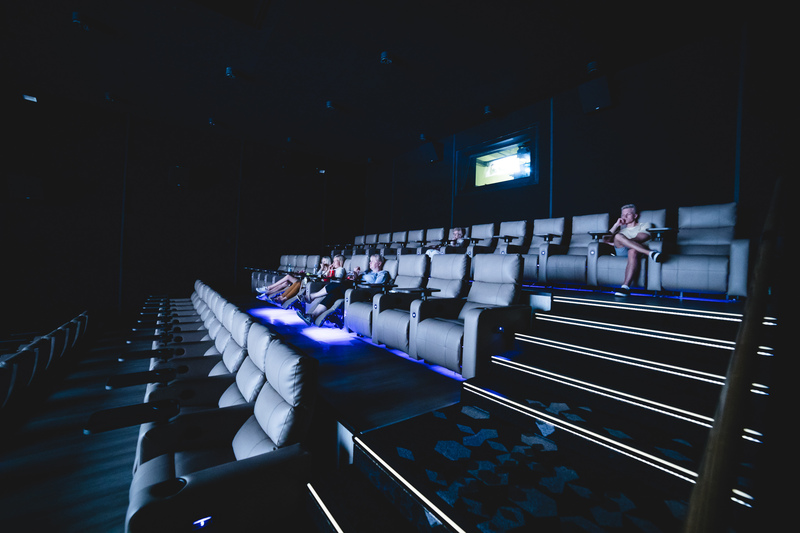 The former auditoriums 3 and 4 now accept less cinemagoers than before, but the new recliner seats offer exceptional comfort, which should please even the most demanding cinema fan. Cinemagoers can adjust the new seats and enjoy the film in any position, whichever they prefer. The first LUXE auditorium (number 4, with 61 seats) is now open and is already welcoming cinemagoers. The final details in the second auditorium (number 3, with 63 seats) will be sorted out at the beginning of June. Scape – sounds like something mystical, unreal, elusive. And that’s what it is! Scape – it means a chance to step away from your daily errands for a moment and go on an adventure on cinematic landscapes, filled with fantasy and emotion. In the Scape Auditorium, Coca-Cola Plaza has a new mystical and wonderful world, where the state-of-the-art Barco 4K laser projector, extremely powerful, dynamic Dolby Atmos sound system and super comfortable seats make you forget the reality around you to fully enjoy the wonder of the cinematic world. The Scape Auditorium is equipped with the Barco 4K laser projector - DP4K–60L. The new projector’s extremely powerful luminous flux of 56,000 lumens brings you remarkably bright colours and sharp picture. Experiencing such a high picture quality will make everything else pale in comparison. The new auditorium is not only a joy for the eyes but a pleasant experience for all senses. 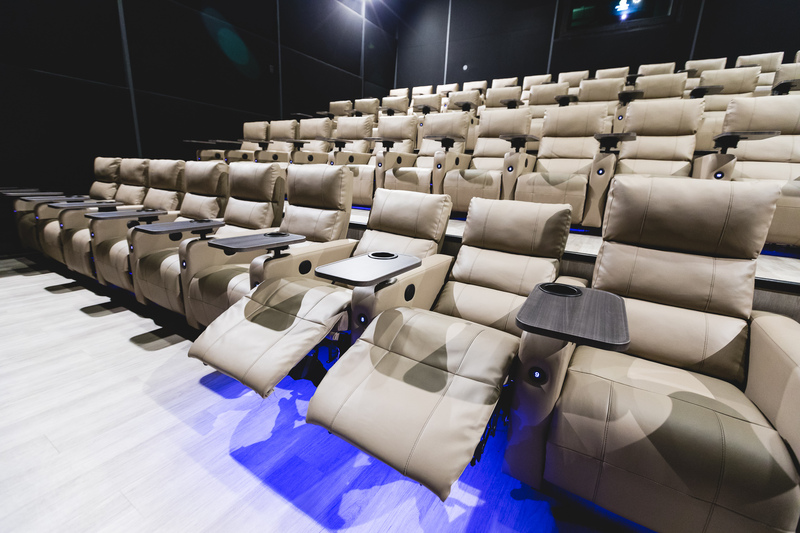 Spacious premium class leather seats, designed for the Scape Auditorium in Italy, allow you to lose yourself in the cinema auditorium and dive into the cinematic world. 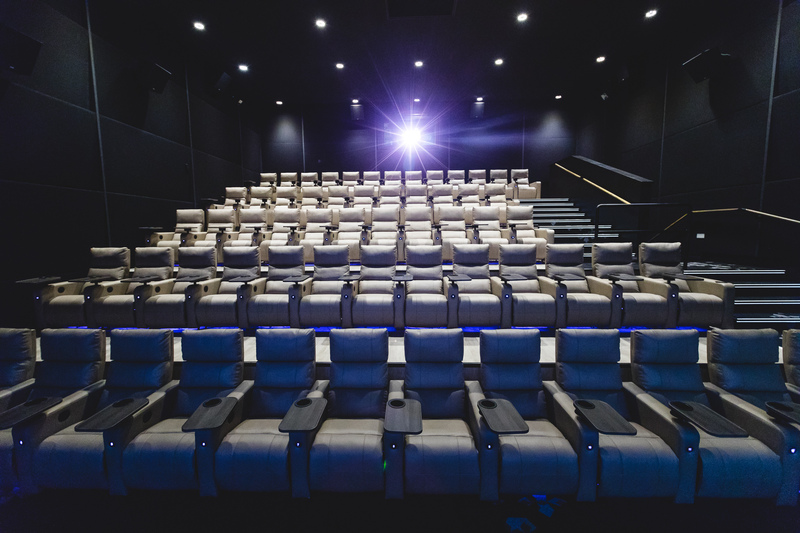 The incredibly powerful new generation Dolby Atmos sound system CP850 delivers sound through the total of 68 loudspeakers, reaching the cinemagoer from five different directions – from the ceiling as well as the walls. All sounds, music and speech move in the auditorium so that you will feel as if you were in the film yourself with all the action happening around you. The new and larger screen in the Scape Auditorium reaches from one wall to the other, covering the total of 170 square metres. The large screen with a matte surface offers 40% more brightness compared to the other screens, as it reflects light better and generates a clear and clean picture. We are committed to offering cinema lovers even more enjoyable cinema experiences and first class service.